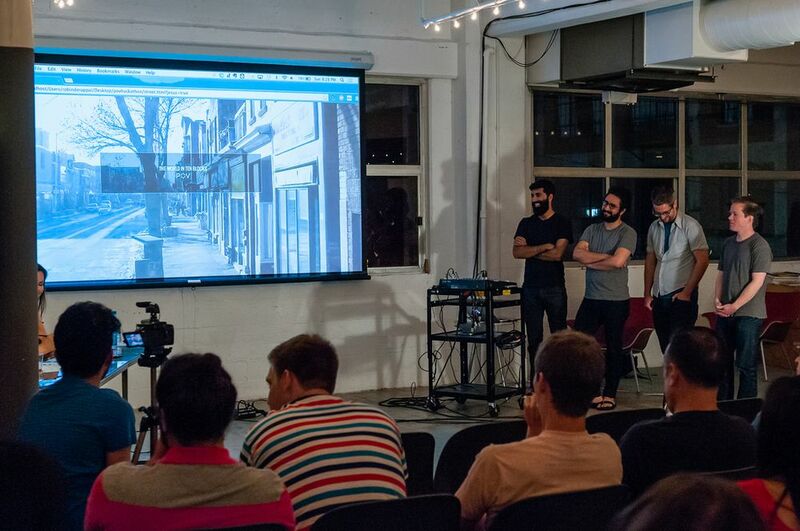 Over the weekend of May 17-18, POV produced and presented its 6th POV Hackathon—and the first one staged outside of New York. 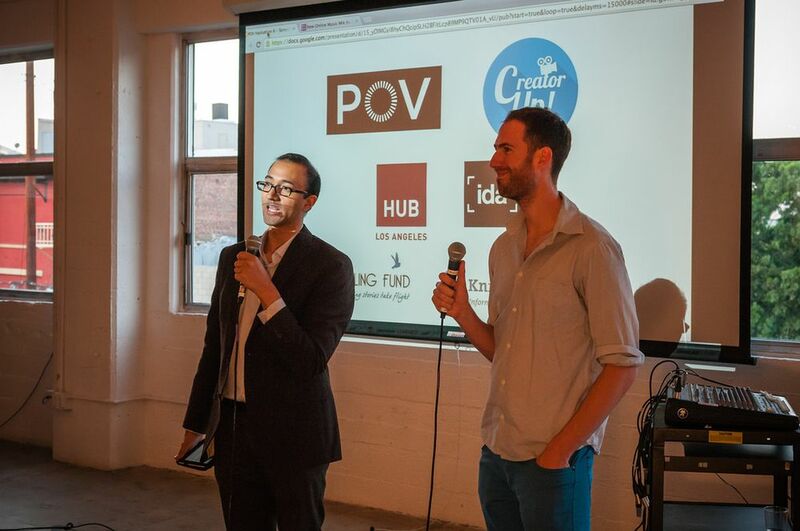 In partnership with IDA and CreatorUp!, an online platform for producing video content, the latest POV Hackathon took place at The Hub, a creative shared workspace in the arts district of downtown Los Angeles. Hackathons are primarily associated with the technology sector, where a group of computer programmers, coders and others involved in software development get together and collaborate intensively on projects. But within the documentary community, hackathons are about exploring new ways of non-linear digital storytelling, says Adnaan Wasey, executive producer of POV Digital. "I believe that what's happening here are the kinds of things that everyone will be doing, not just POV," he asserts. "This is the way that we're going to start thinking about nonfiction media. There's no way to separate the Web from the kind of work that we do." The impetus to bring the POV Hackathon to Los Angeles came from Mike Tringe, co-founder of CreatorUp!. Tringe says he "planted the seed" after attending a POV Hackathon in New York last year. Tringe had attended other hackathons, but, he says, "I feel there is more creative freedom here. In a typical hackathon it's more about shipping code and making sure everything is functional. Here it's about, How can we reconceive or re-imagine this to have a deeper impact, or be more interesting?" POV produces hackathons to see what's out there, and what can be done with non-linear documentary storytelling, says Simon Kilmurry, executive director of POV. 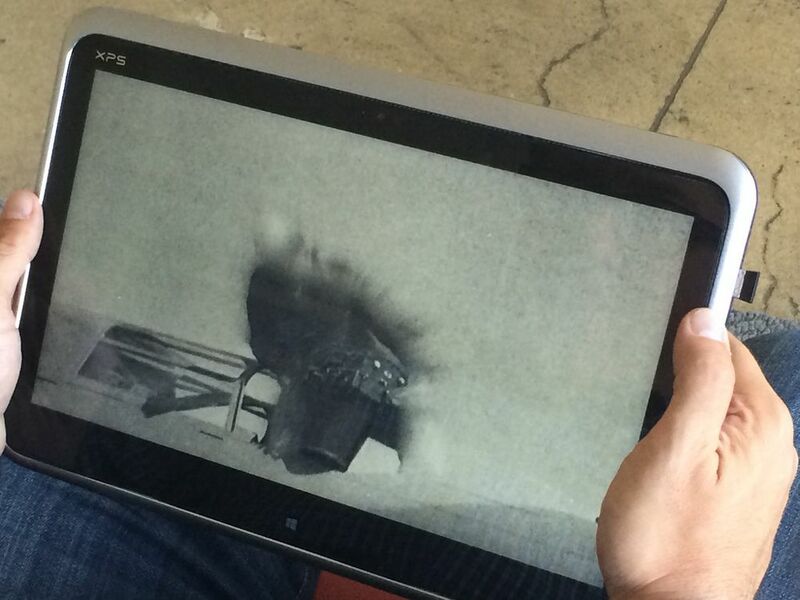 "How does storytelling get shaken up when you put a storyteller and a technologist together? Long-form documentary will continue to exist, but we want to explore what else can be done with the form. We want to create the sandbox where people can play." The POV Hackathon gets underway at 10:00 a.m., with opening remarks by Wasey: "This is the place to take risks; stick with the bold ideas. Do the safe ideas on Monday. Good luck; it's time to start hacking!" And with that, the teams get down to work. 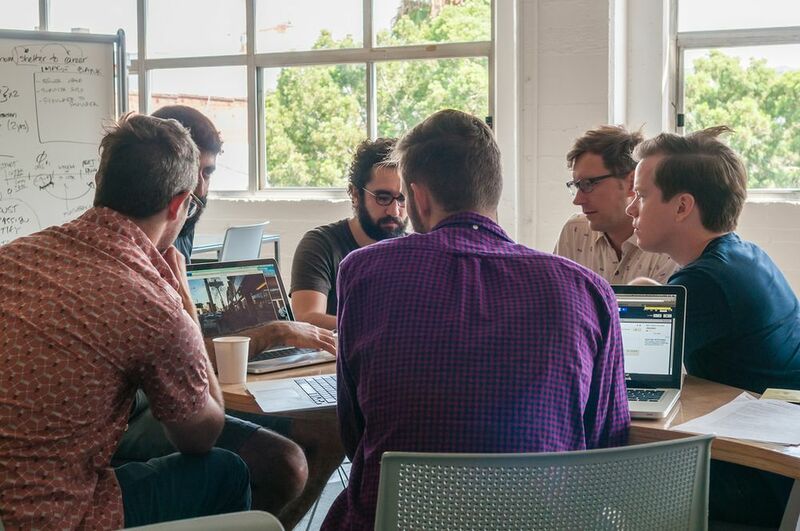 Composed of three to five people, including a media-maker and technologists (coders and designers), the teams are working together for the first time. While the media-maker has come with an idea (detailed in the proposal for the hackathon), it's more like a starting point and it changes as soon as the team meets. The teams decide what it is they want to pursue, and then they do it together. "Immediately everyone knows that it's a collaboration and everyone is equal," says Wasey. "Even though the media-maker is bringing the video, that doesn't make them better than the other side. If you think about it, the media-makers are bringing the video and the technologists are bringing the code, so they're all bringing something equal." Over the next 30 hours, technologists, designers and media-makers will work together to create a prototype of a project. The goal is to create an MVP (Minimum Viable Product) by Sunday at 5:00 p.m., to present to an audience and a panel of judges that night. For the next couple of hours, the goal is to figure out how the project can be done in the amount of time given. Groups work in different ways—some writing and drawing ideas on whiteboard, others working on computers. 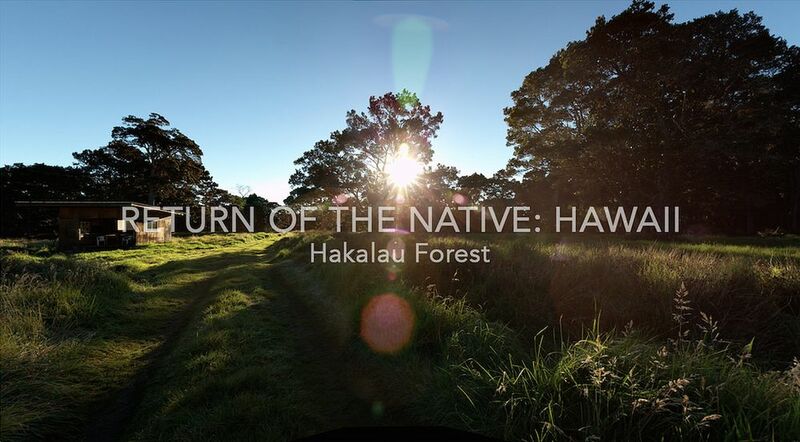 The team from Return of the Native: Hawaii—an iPad documentary about the restored but rarely seen native Hawaiian forests, as described by locals—discuss, among other technical matters, what software to use such as Java Script, Dropbox, etc. The Problem Me team is trying to figure out front-end layout for an app that uses documentary storytelling to connect people around their shared life obstacles. Team members are discussing what order the user should answer questions to use the app. Wasey steps in to guide the project so it keeps on track. "You can decide this later," Wasey advises. "Don't get ahead of the process. There is limited time and a lot to do." There are nine additional mentors on hand to help push projects forward. As Wasey puts it, "We're very hands-on during the creation. The other mentors and I are listening and we're guiding them. "Hackathon is a really nice buzz word and for the most part it does describe what's happening here," Wasey explains. "It's hacking, it's a marathon. But we make the teams and we think of these as experiments, not as products that are going to immediately go into the workplace. I like to call it a lab because I feel like that's what it is. I like that framing of experimentation, testing hypotheses, trying things out, mixing chemicals together and seeing what reactions occur." Wasey announces that the brainstorming phase should be coming to a close. Now it's time to start coding-or encoding, as the case may be. Just getting into the coding phase, participants hardly stop for lunch. Moving to content creation is where the real magic begins. Each team presents a sampling of what they've come up with and where they're planning to go with it. For some groups this phase affirms the direction they've chosen; for others it's a "redirect"--maybe the project is unclear, or too ambitious. When I arrive mid-afternoon, the foreboding aura of a looming deadline pervades The Hub. At this point all the teams know what their problems are, says Wasey, meaning they know what they have to work through in order to create an MVP. "One hundred percent of the time, a prototype is made, and 100 percent of the time, the projects are really interesting. Every time, I'm blown away by what people are able to do and how they're able to solve problems, and how they're able to rethink how media can work for the Web." The participants have been concentrating on creating a prototype; now it's almost time to take it public, so they practice their presentations. It's hard to believe what they've accomplished in less than two days. The final hours of the POV Hackathon afford a chance for participants to take a moment, while some technologists are still hacking away, to reflect on expectations, challenges and achievements over the past 30 hours. Vincent Scatliffe, a coder/designer on Problem Me, sheds light on how the project was "redirected and refocused" after Saturday's Show and Tell: "Essentially, after the presentation everything got scaled down significantly. This helped us because we did not have to do as many revisions or as much work as we would have if we had kept it the way we had during the presentation." Taylor Ferrari, a designer on Home Unknown, describes the process of coming up with a workable prototype that shares personal information: "We had to wrestle with the ideas of, Who can contribute? Who can use these profiles? Is this public? And we came up with a version where you will create profiles and you will be able to share them with people of your choice, and these people will also be able to contribute." Laurie Sumiye, media-maker on Return of the Native: Hawaii, reflects, "I've done hackathons before, but this is insane to try to build something in two days with people you've never worked with before." Sumiye continues, "My team is totally amazing. They figured out how to get everything working and we've totally gone past what I thought we were going to finish. I thought if we had one of these panorama scenes I'll be really happy, but we have three. And we have lots of content." Indeed, the time crunch was woven throughout the participants' experience of the POV Hackathon. Veteran coder Greg Prentice, who worked on Aerial Viewing, says it's always balancing an ambitious idea with the time to get the work done. "We had two days—and not even two full days—so you have to be really smart and make quick decisions like, Is this too big an idea to get done in two days? or, How far should we go with the technology so we don't jeopardize the feel of the final product?" Of course the idea is to broaden the media-makers' idea of what is possible, but again, it's finding that balance of using the technology to help tell the story. "I was actually scared that it was going to get so many bells and whistles," says Kelly Sears, media-maker on Aerial Viewing. "As somebody who works with 14 layers of composite video, I am absolutely a control freak, so for me there was a lot of feeling out of my element. Trying to open up the way I tell stories, I had such an encouraging team. They were great listeners and really heard what I was saying, and the project grew really naturally." Technologist Michael Scherotter, who also worked on Aerial Viewing, sees the process as a way to open the media-makers' eyes to what is possible. "This is a golden opportunity to be able to have a technical conversation and try to get the directors, the people who are creating films, to the sense of an expanded palate." And finally, one of the true benefits of the POV Hackathon is leaving with a working prototype to move the project forward—and new collaborators, say Marc Serpa Francoeur and Robinder Uppal, media-makers of The World in Ten Blocks. "We have a programming skeleton that allows us to continue to expand the content," says Francoeur. "When you're dealing with something that's interactive, you can be like, ‘Yes, I think these images are going to work in such a way,' but the difference between that and actually being able to see it is huge. For that alone, this will have been a valuable experience." "Now we have collaborated with these great gurus who have helped us through a lot of challenges," Uppal adds. "Hopefully we'll be able to continue to work with those guys from a distance and keep building what we have here." As people fill The Hub for a lovely reception hosted by the IDA, Wasey tells the audience the hackers stopped working about an hour ago. "What you're going to see is a synthesis of collaboration. When you think there might be two opposing kinds of views—technologists and filmmakers—we have found a structure to get these people to work together." And that is a big part of what the POV Hackathon is all about. It's putting technologists and media-makers together to foster collaboration. In many cases, technologists have film experience, and filmmakers often have a little tech experience, so they do share a common language. Wasey believes this hybrid media-creator is likely to be the future of interactive documentary-making. As each team presents its prototype to the judges and the audience, I watch with the privileged perspective of having witnessed the process. Starting with the nugget of an idea and working away with a group of people under an impossible deadline is astonishing. The judges, which include David Craig, professor at the Annenberg School of Communications at USC; filmmaker Lyn Goldfarb; Cooper Harris, founder of the social donation platform Klickly; and Lori Kozlowski, columnist at Forbes magazine, come with fresh eyes, and their feedback is invaluable. First up is Problem Me, a mobile-based app with user-generated videos to help someone with a problem such as "How do I find my passion?" Judges ask pertinent questions such as: ‘What's your end goal with this project?" and "Is it for emotional support or a practical how- to?" Media-maker Byron Q responds, "To begin a conversation on how to solve that problem." Judges make suggestions that will help in developing the project further. The World in Ten Blocks, which is an extension of the filmmakers' thesis project, takes the user inside a very diverse neighborhood of Toronto. In this prototype, users have the choice to learn more about, say, a Nicaraguan restaurant owner by clicking and entering the restaurant. Craig observes that the filmmakers are sitting on the cusp of something akin to Google Maps, but more interactive in letting users download menus, recipes, etc. Kozlowski points out the potential to connect people as well as the relatively "low tech" approach that will give access to the less media-savvy generations. Home Unknown, a private family scrapbook that invites contributors to share stories in a space for a richer narrative of family members, evokes a range of responses from the judges. On the one hand, Harris notes that it's "lovely, simple and integrates tech really well." But it also asks the contributor to do a lot of work and perhaps the process of sharing family memories can be simplified. Craig points out that there are larger applications than just sentimental, suggesting this might be a way to share medical histories. For Return of the Native: Hawaii, judges asked questions about the target audience, and how hot spots within the app will be used to cue audiences about what they are looking at. Craig suggested that the app would be great for education science and ethnography—which expanded upon media-maker Laurie Sumiye's original concept of a game for teenagers. And finally, Aerial Viewing , an interactive experimental film, plays upon peoples' surveillance anxieties by replicating the tracking experience as viewers are watching the film. Kozlowski conjectures that this may possibly be the most timely of all the projects, alluding to Edward Snowden's revelations about the NSA. Technologist Michael Scherotter, a veteran coder at Microsoft, closes out the presentations by eloquently summing up the hackathon: "It's the experimental stuff that I love at this hackathon. Expanding the media-maker's palette was the whole idea." Judges were there to offer feedback, not to select a winner. The Participants' Award went to The World in Ten Blocks. To screen the prototypes created at the POV Hackathon and learn more about the projects and the participants, click here. Laura Almo is a Los Angeles-based journalist and documentary filmmaker. Currently she is an instructor at El Camino College teaching classes in film analysis and editing. She can be reached at lauraalmo@mac.com.